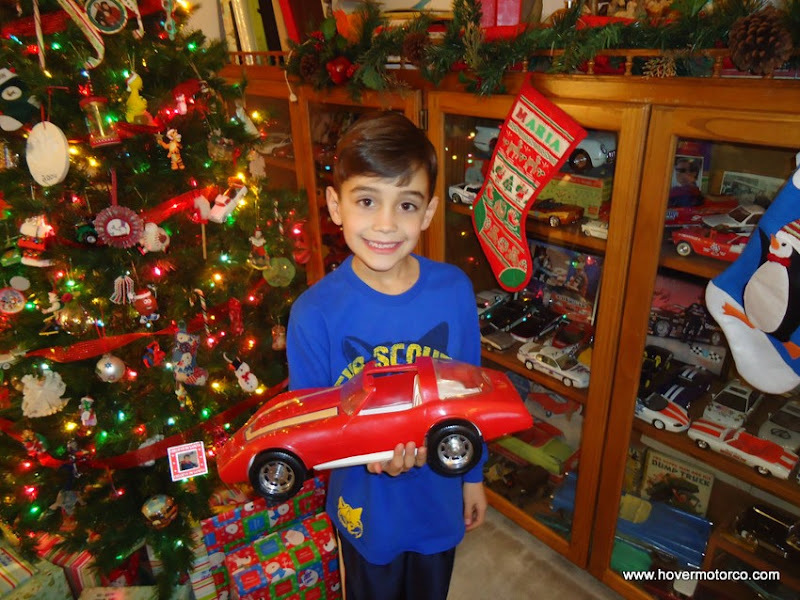 HOVER MOTOR COMPANY: Merry Christmas! And even today, when I look for Christmas gifts, especially for my dad or son, I'm still searching for the perfect car gift. I may even get something for my wife's car this year. Don't tell her--but she's gonna' love it! OK, maybe not. At any rate, I'm really not doing anything very car-related this week worth writing about. I'm driving some new cars that I plan to write reviews about soon, and there are some car museums that I'll be writing about soon, but there isn't a lot going on today. I'm not going to leave you high and dry, though. Just in time for Christmas, I'll leave you with a couple of slideshows--red cars and green cars from car shows and events all over Kansas City. I really appreciate everyone who stops by here throughout the year. I hope you all have a great Christmas! Merry Christmas to you and yours too, Mr Hover. Here's to a happy, healthy and prosperous new year also. Cheers! 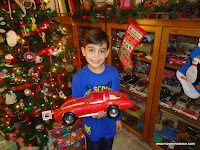 I too can remember ALL those Christmases past that included SOME type of car..even the riding PEDAL CARS...LOL. My, how those WERE the days. Thanks SO much for recalling the history and Americana that is the automobile. DO have yourself a VERY MERRY CHRISTMAS. Merry Christmas and Happy New Year to you and your families ! For me car "stuff" really didn't start til about age 50 or so. pressure up and flowing at a good clip for all of us....THANKS ! Don -& all the "Basehor Boys"